On April 17, Rev. Brooks will address “Anger: Deadly Sin or Spiritual Ally?” for the Turner-Warren Lecture on Life and Faith at 4 p.m. at First Christian Church (Disciples of Christ) 3109 Rivermont Ave., Lynchburg. The lectures are sponsored by University of Lynchburg and First Christian Church, and both are free and open to the public. An ordained American Baptist pastor, Rev. Brook s served as minister of Peakland Baptist Church in Lynchburg for 33 years. He was co-founder and executive director of Pastoral Counseling Services of Central Virginia for 44 years before merging the center with Presbyterian Homes and Family Services, Inc. in 2012. He is certified by the American Association of Pastoral Counselors at the Fellow Level. He holds an AA degree from Mars Hill College, a BA from Furman University, a BD from the Southern Baptist Theological Seminary, and a master of theology degree in pastoral counseling from Crozer Theological Seminary, now a part of Colgate-Rochester Theological Seminary in New York. He completed an internship in pastoral care and counseling at the Institute of Religion in the Huston Texas Medical Center and worked as a student chaplain at the M.D. Anderson Hospital and Cancer Research Center in Houston from 1961 to 1962. An active member of the Lynchburg community since 1966, he served on the boards of the Lynchburg Covenant Fellowship; the Holocaust Educational Foundation of Central Virginia; the Martin Luther King Jr./Lynchburg Community Council; Interfaith Outreach Association, which he helped to establish; the Lynchburg Area Mental Health Association; Family Services of Central Virginia (later known as Family Alliance); and the Miller Home for Girls. 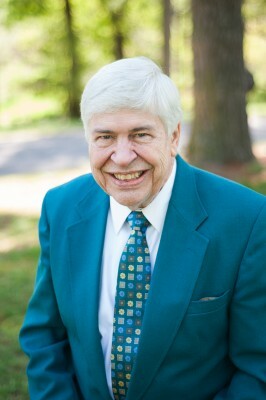 Through the years, he has been recognized with numerous awards including the Brotherhood Citation Award from the National Conference of Christians and Jews (now the Virginia Center for Inclusive Communities), the Lynchburg Mayor’s Award for Excellence, and the Interfaith Outreach Association’s Volunteer of the Year Certificate of Recognition. In 2010, he was honored by the African-American Legacy Museum for his contributions to race relations in Lynchburg. For additional information, contact the University of Lynchburg Spiritual Life Center, 434.544.8348.